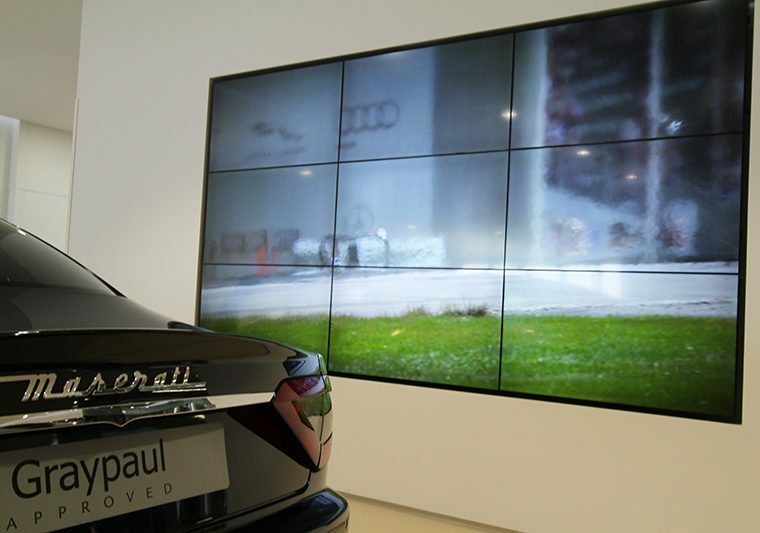 Create a stunning LED Video Wall or extra large format displays, using multiple video wall screens - a true eye catching wall display. 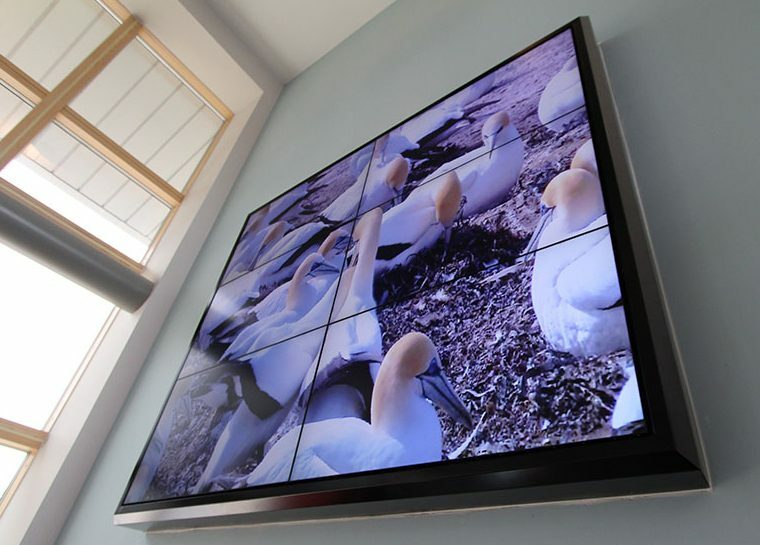 Video wall screens are different to regular screens, they have thinner bezels (frames). These create a more seamless LED video wall image. The narrower the bezel the better. We use a number of manufacturers and suppliers which enable us to offer you an LED video wall solution tailored to your requirements. For limited budgets, we are able to create video walls using standard screens, not usually used for such applications, creating an entry level opportunity without breaking the bank! The screens used for video walls are only part of the picture. Whilst it is the part that is visible by all, behind the screen lays a host of technology. No two installations are the same. Windsor has the expertise and experience to ensure you get the best solution to meet your needs. Call us today for you FREE QUOTE 01252 560 911. Each LED video wall is different, not just in size but in setup and configuration, Windsor is here to help you with your Video Wall Project. Using the latest technology, media players, switchers and content management software, we will find the right solution for even the most complex of requirements. We have the experience and knowledge to advise and spec the best video walls for you, and your budget – because every one has one!